Managing a successful healthcare practice is a complex, multilevel responsibility that often requires quick, responsive decisions and actions to ensure the successful, efficient day-to-day operation. Financial Management and Business Operations, including patient eligibility and authorizations, patient billing, and revenue cycle management. Information Technology and Medical Practice Software Management, including securing PHIs, integrating with EMRs and EHRs, and reporting on practice compliance. Patient Management, including the optimization of patient scheduling, organization of patient flow, and optimization of patient scheduling and office workflow. Compliance, Quality Control, and Risk Management, including ensuring 100% HIPAA compliance, establishing and monitoring quality standards, ensuring highest levels of data encryption, mitigating all possible emergency situations, and addressing potential legal issues all while ensuring compliance with state and federal regulations. Human Resources, including the hiring, training, organizing, and scheduling of office staff. Organizational Operations, including developing policy and procedures designed to establish office standards, monitor staff efficiency, and ensure quality customer service. Medical Practice management software is a category of healthcare software specifically designed to assist healthcare providers and medical practices in navigating a variety of essential tasks unique to the healthcare setting; this includes capturing patient demographics, integration with electronic medical records, scheduling appointments, billing and collections, authorization and referral management, electronic communication with patients and providers, document storage, and alerts and reminders. 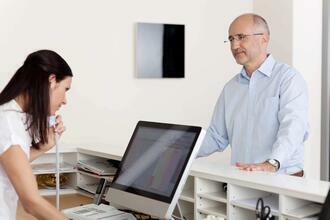 Medical management systems often integrate with electronic health records (EHR) based on the practice’s needs. Designed by our team of practice management experts to boost productivity, improve patient flow, automate billing, and ensure compliance with ever changing regulations and requirements, Revenue XL’s customizable suite of practice management tools are configured to fit the unique needs of your medical practice. Reducing storing and managing of data required of traditional hard copy forms. When practice management software is integrated with an EMR, it enables quick transmission of medical codes and critical patient and billing information to the billing module of the practice management software. Ability to import/export patient demographics, patient appointments, and reimbursements by using our HIPAA and HL7 compliant industry-standard exchange format. Patient eligibility on-demand features provide the ability to instantly review and verify your patients’ demographics and allowable health benefits, including access to insurance, deductible, copays and other vital billing information. Serving as the main source of data creation for healthcare claims, detailed, high-quality superbills are essential for efficient reimbursement for services rendered. Our super billing options include medical provider and practice-specific customization of the four mandatory fields, including provider and ordering information, patient information, visit information, and additional information, notes, and relevant information, allowing for efficient, seamless preparation and processing of important and timely billing and reimbursement information. Electronic remittances advices, or ERAs, provide your staff with the ability to streamline the reconciliation process. Our streamlined, automated reconciliation process allows you to receive payment the same day claims are finalized, as well as quicker processing of secondary insurance claims. In addition, stored ERA data provide a progression of billed claims, allowing your staff a quick, efficient, environmentally-responsible way to process outstanding claims while reducing costs administrative, printing, and storage of paper remittance records. Advanced accounts receivables management software improves your invoice collection process by reducing the time spent managing invoice collection disputes and increasing the time spend facilitating customer payment. Seamless integration with leading EMRs and EHRs ensures global, on-demand, secure access to critical patient medical and health records. Our integration process automates the claims data and charge process, allowing for direct pass through into EMRs and EHRs - eliminating the manual data entry and putting an end to your reliance on paper documents while saving time, eliminating waste, reducing costs, improving patient care, and ensuring regulatory compliance. Multi-provider, multi-location, and multi-resource scheduling options allow for customized views for each user and provides easy management of patient office flow for your practice. Quickly and easily view, manage, and schedule all procedure rooms, medical staff, equipment, and resources with our advanced scheduling features. Our custom filters give each provider the ability to view, manage, schedule, and confirm patient appointments. Electronic scheduling and communication options provide the ability to send patients secure, paperless intakes, eliminating the need to complete cumbersome, redundant paperwork at the first appointment. Optimized for mobile, our practice management software systems gives providers the option of electronically sending patients secure, HIPAA compliant information, scheduling appointments and procedures, and communicating important insurance and billing information. Better communicate and coordinate with insurance providers regarding provided, eligible, and billable services. Identify and include relevant healthcare providers in patient EHRs and EMRs. 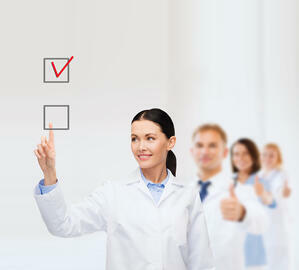 Our patient management software systems utilize the highest security measures available. Our encrypted data infrastructure provides protection from viruses, spam, and malicious parties, ensuring all patient health and medical records data managed by your practice are safe, confidential, and secure. Fully Health Level 7, or HL7, compliant, our medical patient management software ensures your practice management systems are formatted and HL7-compliant for messaging, data exchange, decision support, prescription medication labeling, and common health language, definitions, and rules syntax for EMR and EHR claims attachments and reporting. Using practice management software to streamline and automate administrative tasks, including scheduling, insurance and patient billing, and ordering, provides your staff with the opportunity to focus on your most important asset - your patients. Implementing practice management software systems provides your staff with time to focus on creating an organizational environment where quality patient care is the number one priority. Effective clinic management software creates efficient workflow and processes for your medical practice. With the goal of optimizing staff performance, PM software reduces data entry errors, eliminates redundancies, decreases patient wait time, and serves as an early reporting system for potential scheduling, compliance, billing, or staffing issues. Our quality medical software programs minimize errors by integrating with billing and insurance processes; this allows updated user data and information to be entered in a single point of input and accurately updated across all programs, increasing office efficiency by freeing up time and resources without sacrificing quality or progress. This integrated access to patient records, reports, insurance, and billing information expedites the reimbursement process by eliminating the multiple exchanges of information typically required between medical practices and billing entities. Integrated practice management software solutions also provide for the ability to review claims, customize and add new fields to reports, store and index searchable scanned documents, images, and records, and create and manage tickler files, to-do lists, and memos from one single management software program. All data and information transfers are protected by optimal levels of SSL/TLS encryption, ensuring sensitive organizational and patient data is protected from malicious parties, including malware, viruses, spyware, and ransom ware. Our products meet and/or exceed all HIPAA standards and HHS certification requirements and state and federal regulations are consistently monitored to ensure your practice is always compliant. Additionally, all of our systems are defined by strict access levels to ensure only authorized users have access to confidential and protected records. Medical practice management software streamlines insurance verification when the patient schedules an appointment, allowing for speedier payment processes and quicker reimbursement. More efficient revenue streams are achieved through optimized scheduling features and patient appointment reminders designed to reduce missed appointment and eliminate scheduling errors. Increased revenues are also realized by eliminating errors and redundancies through real-time error alerts and automatic insurance verification and eligibility assurance - helping you minimize costly errors and increase revenue for your medical practice. As federal regulations change, technology advances, and the patient population continues to shift, our practice management software system continues to innovate, evolve, and adapt - keeping your medical practice well ahead of a rapidly transforming U.S. healthcare system. In such a dynamic healthcare environment, medical practice management software is essential in order to effectively and efficiently integrate electronic health records (EHRs) and coordinate communications, transactions and interactions between patients, providers and systems. As with any new process or solution, and in order to maximize PM benefits, the selection and implementation processes of practice management software must be well-defined, carefully planned for, and based firmly on research-based practice management systems best practices. 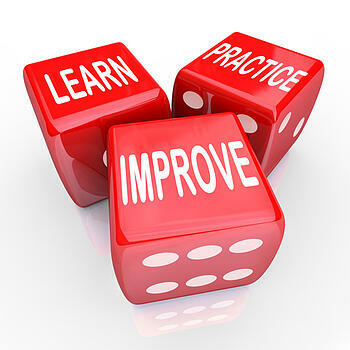 RevenueXL practice management software systems offer much more than other cookie-cutter, generic solutions. Our practice management systems are designed to work with you and your workflows, not to replace them with something different, redundant, and hard to learn. You know what works for you and your practice—with Revenue XL’s comprehensive practice management software, we simply help you do it faster, more efficiently, with fewer errors, and less duplication of effort.